Inspirational teachers know that using different types of audio visual aids makes learning fun and deepens comprehension. Students pay closer attention when their senses of sight and sound are simultaneously engaged. Instead of sitting passively while the teacher draws on the chalkboard, students today enjoy multimedia instruction. Exciting audio visual aids create a sensory experience that draws in students. However, like any teaching tool, teachers must use audio visual aids effectively to optimize potential value. 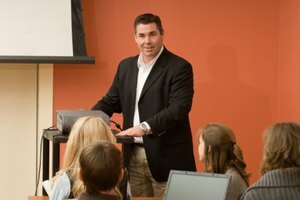 Schools are increasingly investing in software, classroom computers, iPads and simulation laboratories. Commonly used SMART Boards project the teacher’s computer screen and allow the class to touch a big white board and play interactive educational games. You can find great audio visual aids ideas online that are age appropriate. Teacher’s guides are also available for using the SMART Board to teach biology, chemistry and physics to older students who can perform virtual experiments. Students of all ages enjoy observing webcams of zoo animals on their computers as part of a science or zoology module. 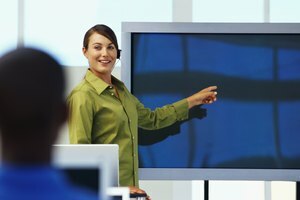 Multimedia systems in the classroom also make it easy for teachers to show films, YouTube clips and instructional videos. Teachers stimulate critical thinking and generate discussion by integrating visuals into their lesson plans. Visual learners are particularly inclined to tune out if the teacher stands in front of the class lecturing. Therefore, effective instruction should include visual aid examples like charts, diagrams, handouts, models, posters, graphs, flannel boards and specimens. 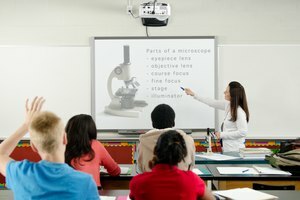 Even schools with limited resources typically have basic technology, such as overhead projectors. Colorful display boards can be used to reinforce ideas discussed in class. Encourage children to make their own visual aids and present them to the class as part of a hands-on project, such as a science fair experiment. Many children embrace technology and prefer to engage with new material that is being taught. Audio visual aids help hold the students’ attention. For instance, showing a video of places your students have never visited can help them better grasp a geography lesson. Films about earlier times can help children imagine what their life may have been like if they had been born decades or centuries ago. Different types of audio visual aids save time when trying to explain or learn a new concept and to understand how it builds on ideas presented earlier. Learning languages is aided when students can hear native speakers while looking at a word and interacting with teaching software. Overuse or incorrect use of audio visual aids can backfire. For example, even PowerPoint presentations with video clips can put students to sleep if the slides are dry, detailed and presented in a monotone voice. Showing films can leave students with many unanswered questions if time isn’t set aside for discussion. 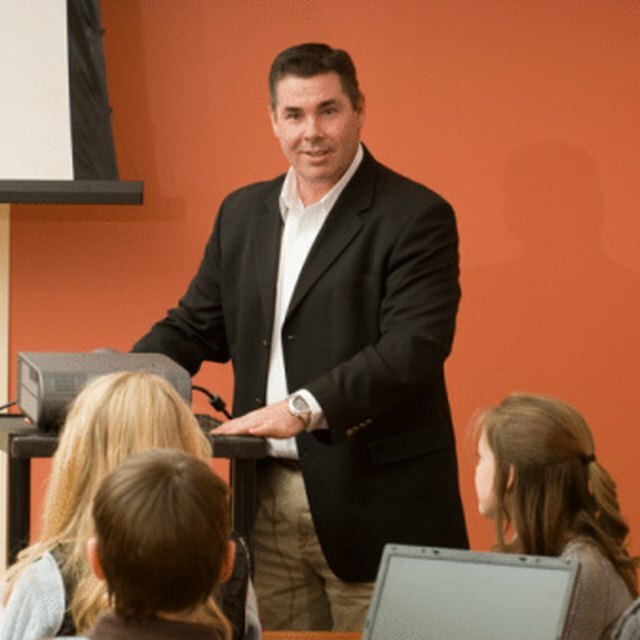 The types of AV aids selected should match the age and attention span of the students, or they will quickly lose interest. Too much noise and classroom stimulation can be overwhelming and distracting for some students. 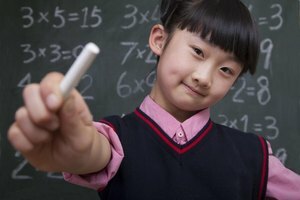 The Tech Edvocate: What are the Pros and Cons of Edtech in the Classroom? Mary, Dr.. "Types of Audiovisual Aids Used in Teaching." Synonym, https://classroom.synonym.com/types-audiovisual-aids-used-teaching-5108016.html. 07 September 2018.